Kristen Marshall has won the 2016 Professor Malcolm McDonald and Academy of Marketing student essay prize. Kristen is a Doctoral Student and PGCert in Higher Education at Edinburgh Napier University. Katerina Kormusheva has won the 2015 Professor Malcolm McDonald and Academy of Marketing student essay prize. She is based in Canberra in Australia, and is just starting a PhD in Marketing at the prestigious Australian National University. This year’s topic was: ‘Marketing has shifted from a product-dominant logic to a service-dominant logic. Use examples to discuss how service is now at the heart of everything that is marketed’. 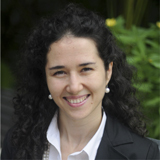 Katerina approached the challenge with the apt title ‘the yinyang of marketing’. Expanding on this she stated; ‘While the distinction between products and services is necessary and useful in highlighting certain challenges and distinct characteristics, when marketing services versus products, a more yinyang approach is practical’. ‘The product-service symbiosis is of personal interest and I was very inspired to write on the topic. I am now in my first year of PhD studies in marketing at the Australian National University. This award is an encouragement for me to persevere in my research. My goal is to explore concepts at the intersection of science and practice in marketing. I dream that one day my dissertation will not be collecting dust in a library somewhere but will rather fundamentally change the way people do marketing in real companies’. Ewan Cluckie, a marketing student from the University of Manchester, has won the 2014 Professor Malcolm McDonald and Academy of Marketing student essay prize. Ewan’s essay dealt with an issue very prominent in the minds of many marketers today. That is; ‘For many brands, the greatest threat is not being out of touch with social media, but losing sight of the fundamental needs their consumers’. How Ewan approached this topic, relating existing theory to current practice, greatly impressed the judging panel and Malcolm. Ewan received his award at the annual Academy of Marketing Gala Dinner in Bournemouth in July. The prize for the competition is £500. 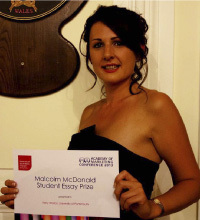 Kerry Walton, a marketing student from the University of Portsmouth has won the 2013 Professor Malcolm McDonald and Academy of Marketing student essay prize. The winner of the 2012 Professor Malcolm McDonald Student Essay Prize was Lawrence Green, from University of Southampton. Lawrence’s winning essay was titled; ‘Segmentation of customers based on their needs and profiles is more important than ever. Discuss the role of new social media as tools to help businesses better understand consumer needs’. The award was presented to Lawrence by Monica Gibson-Sweet, Chair of the AM Education Sub-Committee at the Academy of Marketing Conference Gala Dinner in Southampton on 5 July. The winner of the 2011 Professor Malcolm McDonald Student Essay Prize was Christopher Agyapong Siaw from Glamorgan Business School. Professor McDonald presented the prize to Christopher at the Academy of Marketing conference dinner on July 7th in Liverpool. The 2010 Winner was Nathalia Tjandra of Edinburgh Napier University for her essay entitled “The only way to create sustainable competitive advantage is to create advantage for customers”. 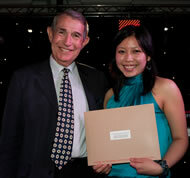 She was presented with her award by Professor McDonald at the AM 2010 Conference Dinner hosted by Coventry University.